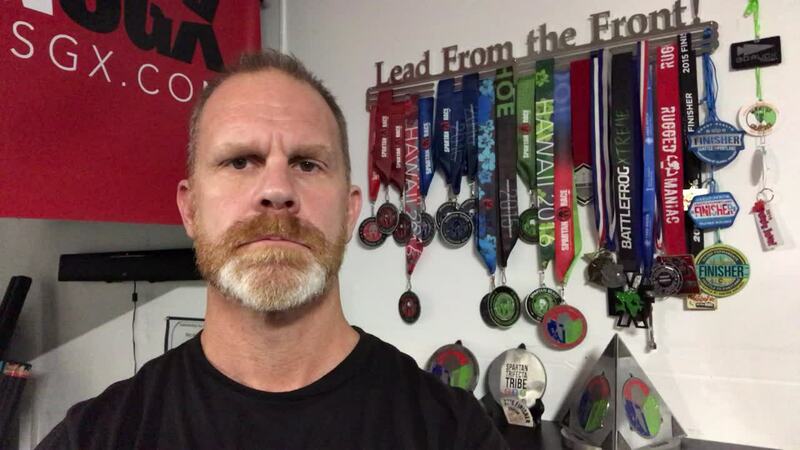 EXPERIENCED, Educated, Empathetic, Energetic & Empowering former US Marine, West Coast FOB Leader for ORW(Operation Restored Warrior), passionate personal trainer spanning nearly (3) decades of service with quantifiable clientele results. High level consultative, goal setting & program design efficiency. Well versed in all aspects of health clubs, PT systems & management, corporate wellness & self defense. Additional specialties: youth, senior wellness & applicable fitness technologies. Competitive athlete, youth coach and a firm believer in building one's life around Faith, Family & Fitness. (1) 60min Consultation ONLINE or IN-STUDIO*; This plan is completely digital & sent directly to your phone in addition to print out if requested. *IN STUDIO also provides Full Body Composition Analysis w/ Printout Specifically tailored to your individual needs, preferences, allergies, budget & more; 7-Day, 6 meal per day plan with full shopping list, recipes as well as exchanges. Fuel your Goals with the RIGHT Nutrition Plan from the start! Food is the Fuel for Success, not pills, powders, starving or games-learn how to fuel your life for longevity, not just a few pounds! Utilizing Evolution Nutrition which combines some of the best technology, information, food data bases and software on the market, you can now meet with your trainer and design the EXACT food plan you need to finally hit your goals! Whether your goals are Weight Loss, Dropping body Fat, Muscle Gain, Getting Lean/Tone, Reducing Inflammation & Pain, Increasing Sports Performance or just wanting to learn how to eat healthier for yourself and your family, Evolution Nutrition will provide the recipe! By understanding how you need to eat, you can now easily budget your shopping to maximize your life in other areas! Incredibly important for families! (1) 60min Consultation ONLINE or IN-STUDIO* per month; This plan is completely digital & sent directly to your phone in addition to print out if requested. *IN STUDIO also provides Full Body Composition Analysis w/ Printout Specifically tailored to your individual needs, preferences, allergies, budget & more; 7-Day, 6 meal per day plan with full shopping list, recipes as well as exchanges. Fuel your Goals with the RIGHT Nutrition Plan from the start! Food is the Fuel for Success, not pills, powders, starving or games-learn how to fuel your life for longevity, not just a few pounds! Utilizing Evolution Nutrition which combines some of the best technology, information, food data bases and software on the market, you can now meet with your trainer and design the EXACT food plan you need to finally hit your goals! Whether your goals are Weight Loss, Dropping body Fat, Muscle Gain, Getting Lean/Tone, Reducing Inflammation & Pain, Increasing Sports Performance or just wanting to learn how to eat healthier for yourself and your family, Evolution Nutrition will provide the recipe! By understanding how you need to eat, you can now easily budget your shopping to maximize your life in other areas! Incredibly important for families! (90) Min One-on-One Personalized Instruction; Full body Composition Analysis w/ Printout; PAR-Q, Basic Mobility/Functionality Assessment; Goal Clarification; Custom Programming & Instruction. Learn how to respond to: Verbal Confrontation, Physical Confrontation, Strangers, Hand Gun, Knife, Bats/Bars, Car Jacking, Home Invasion, Child Abduction, Shootings, Being Followed, Aggressive Solicitors & many more scenarios. DSS-Founded by Sijo James DeMile, on of Bruce Lee’s original students. DSS is a modern self-defense system based on the science of Bruce Lee’s combative principles for trapping, speed, and striking power combined with effective fighting applications of Wing Chun Do, Jiu-Jitsu, US and Israeli Military Combatives joined with leading fitness concepts for developing a leaner, stronger, functional body while building more confidence. DSS's efficacy stems from matching techniques to student's physical capacity, age, job/life, interests and needs. DSS equips all who study its principles and techniques to learn fundamental applications to reduce given threats and maximize probability of survival regardless of age, gender, strength or size to deal when dealing with “what if” situations. DSS is a holistic system that addresses the environmental, emotional and physical realities of personal protection underscored with the conviction that everyone has the right to defend their life, liberty, and family. Additional Info: Knowing your personal Self Defense rights in Washington State & lawful response(s). DSS is highly effective and beneficial for Children to Seniors. 12-(90) Min One-on-One Personalized Instruction; Full body Composition Analysis w/ Printout; PAR-Q, Basic Mobility/Functionality Assessment; Goal Clarification; Custom Programming & Instruction. Learn how to respond to: Verbal Confrontation, Physical Confrontation, Strangers, Hand Gun, Knife, Bats/Bars, Car Jacking, Home Invasion, Child Abduction, Shootings, Being Followed, Aggressive Solicitors & many more scenarios. DSS-Founded by Sijo James DeMile, on of Bruce Lee’s original students. DSS is a modern self-defense system based on the science of Bruce Lee’s combative principles for trapping, speed, and striking power combined with effective fighting applications of Wing Chun Do, Jiu-Jitsu, US and Israeli Military Combatives joined with leading fitness concepts for developing a leaner, stronger, functional body while building more confidence. DSS's efficacy stems from matching techniques to student's physical capacity, age, job/life, interests and needs. DSS equips all who study its principles and techniques to learn fundamental applications to reduce given threats and maximize probability of survival regardless of age, gender, strength or size to deal when dealing with “what if” situations. DSS is a holistic system that addresses the environmental, emotional and physical realities of personal protection underscored with the conviction that everyone has the right to defend their life, liberty, and family. Additional Info: Knowing your personal Self Defense rights in Washington State & lawful response(s). DSS is highly effective and beneficial for Children to Seniors. (4) 75-90Min One-on-One Personalized Instruction per month in a Group Setting-Max of (8) People; Full body Composition Analysis w/ Printout; PAR-Q, Basic Mobility/Functionality Assessment; Goal Clarification; Custom Programming & Instruction. Learn how to respond to: Verbal Confrontation, Physical Confrontation, Strangers, Hand Gun, Knife, Bats/Bars, Car Jacking, Home Invasion, Child Abduction, Shootings, Being Followed, Aggressive Solicitors & many more scenarios. DSS-Founded by Sijo James DeMile, on of Bruce Lee’s original students. DSS is a modern self-defense system based on the science of Bruce Lee’s combative principles for trapping, speed, and striking power combined with effective fighting applications of Wing Chun Do, Jiu-Jitsu, US and Israeli Military Combatives joined with leading fitness concepts for developing a leaner, stronger, functional body while building more confidence. DSS's efficacy stems from matching techniques to student's physical capacity, age, job/life, interests and needs. DSS equips all who study its principles and techniques to learn fundamental applications to reduce given threats and maximize probability of survival regardless of age, gender, strength or size to deal when dealing with “what if” situations. DSS is a holistic system that addresses the environmental, emotional and physical realities of personal protection underscored with the conviction that everyone has the right to defend their life, liberty, and family. Additional Info: Knowing your personal Self Defense rights in Washington State & lawful response(s). DSS is highly effective and beneficial for Children to Seniors. Crush the Calories this Holiday Season and start 2019 off better than ever! REAL customized 7-Day Nutritional Plans; Online or In-Studio Personal Training; InBody 570 Full Body Composition Testing; The Fitness Guy App & Mobile Training/Videos! So many options to choose from! This voucher may be utilized for and towards any of Services of The Fitness Guy. *No Cash Value; Please visit (https://www.trainerize.me/profile/thefitnessguy1) to choose services; Contact TFG to begin; 12 Month Expiration from date of activation. (Unlimited Scans) Knowing EXACTLY where you are starting from makes knowing where you need to go/what you need to do to achieve your results makes or breaks your success! Utilizing the latest in Bio Electrical Impedance Analysis with Segmental scans, the InBody will measure ALL sources of body fat, water weight lean muscle, and most importantly, where it is specifically. Working with this detailed information, a health & fitness's program level of success is substantially increased based on real data, not hope or guesses. Best of all, measures atrophy, hypertrophy, inflammation(via water levels), visceral/subcutaneous/intramuscular fats so determining whether or not your chosen program is effective or counter-productive is easy! (Single Scan) Knowing EXACTLY where you are starting from makes knowing where you need to go/what you need to do to achieve your results makes or breaks your success! Utilizing the latest in Bio Electrical Impedance Analysis with Segmental scans, the InBody will measure ALL sources of body fat, water weight lean muscle, and most importantly, where it is specifically. Working with this detailed information, a health & fitness's program level of success is substantially increased based on real data, not hope or guesses. Best of all, measures atrophy, hypertrophy, inflammation(via water levels), visceral/subcutaneous/intramuscular fats so determining whether or not your chosen program is effective or counter-productive is easy! (4)-30min ‘IN-STUDIO’ Personalized One-on-One Consultation or Workouts for (2) People; Very Private/Exclusive; Complimentary Towel, H2O & Pre-Workout/Recovery Drink Service; Children Welcome*; Options: Health & Fitness overview; Program Design; Pre-Workout/Trainer Interview; Nutritional & Supplement Research, Review and Suggestions; Weekly Full Body Composition Analysis with Printout; Lifestyle Coaching; Goal Setting; Full Body Workout; Full Access to The Fitness Guy App, Evolution Nutrition & MyZone. *Up to (3) Children; Child Care Available @ $7.50/per child/$10.00 for 2/$12.50 for 3; Advanced Request Mandatory. (4)-30min 'ONLINE' Personalized One-on-One Consultations or Workouts for (2) People; Options: Health & Fitness overview; Program Design; Pre-Workout/Trainer Interview; Nutritional & Supplement Research, Review and Suggestions; Lifestyle Coaching; Weekly Body Composition Analysis; Full Body Workout; Full Access to The Fitness Guy App, Evolution Nutrition & MyZone. (4)-30min ‘IN-STUDIO’ Personalized One-on-One Consultation or Workouts. Very Private/Exclusive; Complimentary Towel, H2O & Pre-Workout/Recovery Drink Service; Children Welcome*; Options: Health & Fitness overview; Program Design; Pre-Workout/Trainer Interview; Nutritional & Supplement Research, Review and Suggestions; Weekly Full Body Composition Analysis with Printout; Lifestyle Coaching; Goal Setting; Full Body Workout; Full Access to The Fitness Guy App & Evolution Nutrition. *Up to (3) Children; Child Care Available @ $7.50/per child/$10.00 for 2/$12.50 for 3; Advanced Request Mandatory. (1)-30min ‘IN-STUDIO’ Personalized One-on-One Consultation or Workout. Very Private/Exclusive; Complimentary Towel, H2O & Pre-Workout/Recovery Drink Service; Children Welcome*; Options: Health & Fitness overview; Program Design; Pre-Workout/Trainer Interview; Nutritional & Supplement Research, Review and Suggestions; Full Body Composition Analysis with Printout; Lifestyle Coaching; Goal Setting; Full Body Workout. *Up to (3) Children; Child Care Available @ $7.50/per child/$10.00 for 2/$12.50 for 3; Advanced Request Mandatory. (4)-30min 'ONLINE' Personalized One-on-One Consultations or Workouts. Options: Health & Fitness overview; Program Design; Pre-Workout/Trainer Interview; Nutritional & Supplement Research, Review and Suggestions; Lifestyle Coaching; Weekly Body Composition Analysis; Full Body Workout; Full Access to The Fitness Guy App, Evolution Nutrition & MyZone. (1)-30min ‘ONLINE’ Personalized One-on-One Consultation or Workout. Options: Health & Fitness overview; Program Design; Pre-Workout/Trainer Interview; Nutritional & Supplement Research, Review and Suggestions; Body Composition Overview & Assessment; Lifestyle Coaching; Goal Setting; Full Body Workout. (4)-45min ‘IN-STUDIO’ Personalized One-on-One Consultation or Workouts for (3) People; Very Private/Exclusive; Complimentary Towel, H2O & Pre-Workout/Recovery Drink Service; Children Welcome*; Options: Health & Fitness overview; Program Design; Pre-Workout/Trainer Interview; Nutritional & Supplement Research, Review and Suggestions; Weekly Full Body Composition Analysis with Printout; Lifestyle Coaching; Goal Setting; Full Body Workout; Full Access to The Fitness Guy App, Evolution Nutrition & MyZone. *Up to (3) Children; Child Care Available @ $7.50/per child/$10.00 for 2/$12.50 for 3; Advanced Request Mandatory. (4)-45min 'ONLINE' Personalized One-on-One Consultations or Workouts for (3) People; Options: Health & Fitness overview; Program Design; Pre-Workout/Trainer Interview; Nutritional & Supplement Research, Review and Suggestions; Lifestyle Coaching; Weekly Body Composition Analysis; Full Body Workout; Full Access to The Fitness Guy App, Evolution Nutrition & MyZone. (4)-45min ‘IN-STUDIO’ Personalized One-on-One Consultation or Workouts for (4) People; Very Private/Exclusive; Complimentary Towel, H2O & Pre-Workout/Recovery Drink Service; Children Welcome*; Options: Health & Fitness overview; Program Design; Pre-Workout/Trainer Interview; Nutritional & Supplement Research, Review and Suggestions; Weekly Full Body Composition Analysis with Printout; Lifestyle Coaching; Goal Setting; Full Body Workout; Full Access to The Fitness Guy App, Evolution Nutrition & MyZone. *Up to (3) Children; Child Care Available @ $7.50/per child/$10.00 for 2/$12.50 for 3; Advanced Request Mandatory. (4)-45min 'ONLINE' Personalized One-on-One Consultations or Workouts for (4) People; Options: Health & Fitness overview; Program Design; Pre-Workout/Trainer Interview; Nutritional & Supplement Research, Review and Suggestions; Lifestyle Coaching; Weekly Body Composition Analysis; Full Body Workout; Full Access to The Fitness Guy App, Evolution Nutrition & MyZone. (1)-60min ‘IN-STUDIO’ Personalized One-on-One Consultation or Workout. Very Private/Exclusive; Complimentary Towel, H2O & Pre-Workout/Recovery Drink Service; Children Welcome*; Options: Health & Fitness overview; Program Design; Pre-Workout/Trainer Interview; Nutritional & Supplement Research, Review and Suggestions; Full Body Composition Analysis with Printout; Lifestyle Coaching; Goal Setting; Full Body Workout. *Up to (3) Children; Child Care Available @ $7.50/per child/$10.00 for 2/$12.50 for 3; Advanced Request Mandatory. (1)-60min ‘ONLINE’ Personalized One-on-One Consultation or Workout. Options: Health & Fitness overview; Program Design; Pre-Workout/Trainer Interview; Nutritional & Supplement Research, Review and Suggestions; Body Composition Overview & Assessment; Lifestyle Coaching; Goal Setting; Full Body Workout. MEET THE MZ-3, Your effort measured with 99.4% EKG-accuracy. "Learning" Waterproof Wearable Technology to Track ALL your efforts. Compete against yourself, friends all over the world, participate in challenges. This App-Based belt can store up to (16) hours of data, reminds you to sync your belt/app via Bluetooth and can last on a single charge for months! (Rapid usb charging in approx. 4hours) Battery never needs replacing-same battery as your cell phone. Summary of the MyZone MZ3: *Real time feedback on heart rate, calories and effort. *Live display of data via smartphone app, watch or ‘in club’ displays. *Unique MYZONE Effort Points (MEPs) designed to reward effort to promote fair competition with MYZONE users all over the world. *Internal memory (16 hours of exercise data) for those times you don’t have your smartphone. *Uses Bluetooth and ANT+ communication protocol to connect with 3rd party Apps & devices. *99.4% accuracy to an EKG/ECG machine providing data you can trust. This is an (8-12) Hour ON-SITE Consultation; Complete review of PT Systems, Management, Sales, Staff, Current Systems in Place, CRM, Software, Presentation SOP, Annual Budget, Plan & (36-60) Month Trend, NMU/Tour to PT Appt Conversion, Total Members to PT %, POS PT, Resign Rate, Client Tenure, Trainer Attrition & more! Bottom line, how is your PT Department functioning? Rocking and is a high profit revenue stream; Covering its own expenses; Is barely hanging on; Non-existent. Most PT Departments see an immediate increase in POS PT, Upgrades & New PT from existing mbshp post consultation. Simplify the process by focusing on consultative processes based of composition & goal setting NOT sales followed by definitive plans to offer prospective new client. EFT & Cash Sales will increase typically no less than 20% first (30) days! (3) Hour Minimum; $275 per (3) Hour Block; Includes ONLINE or IN-PERSON consultation, research of plans/needs and full report. Detailed report covers many of the items listed below. I can help design any studio on any budget. Ready to build your own personal training/workout studio? Are you thinking of your home, office or commercial space? Knowing all the specific details for personal to professional is crucial to the enjoyment and success of your new place. For Example: BUDGET is vital to establishing prior to beginning!!!! Square Foot working with/needed; Garage, Warehouse, Retail Space; Type of studio/facility desired; Type of equipment desired-functional, traditional, cardio machines, weights, etc. ; Technology; Infrastructure; Private or Open to Public; Insurances, Licenses, Tenant Laws & TI's; Sound/Acoustics; Flooring; Actual build out:electrical, plumbing, networking, lighting, heating/cooling; Open space or compartmentalized; Colors; Leases, Landlords, Liability; Name, Logos, Colors, Mission Statement, Intent; Funding; Marketing; Staffing; Services; Business Plans; Equipment Costs & where to get equipment; New or Used; Best equipment to get; Commercial grade or residential grade; Maintenance/Repair Costs; POS Software, Check In, Key Fobs, Thumbprint/PIN #, Club Management Software; Classes; Private Training; Employee vs 1099; Web, Social Media, Apps; Payment Processing; Hours; Location: Parking; Child Watch; Franchise or Individual; Buffet Build or Specialty; Uniforms, Janitorial; Corporate Accounts/Credit; Associations-BBB, Chamber, IDEA, IHRSA; Trainers Accreditation-NASM, ACSM, ACE, NSCA; You get the point?? There is SO much in just 'building' your own studio! However, if you're just putting a few things in your garage, then maximize your budget, get what you want at a fraction of retail, learn how to install it & more.